Unfortunately there is no Drupal 8 version yet. 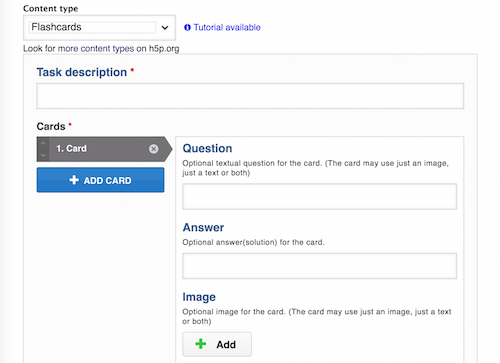 H5P is installed in Drupal in two steps. The H5P module is installed using the standard module installation process. It handles the Drupal integration. 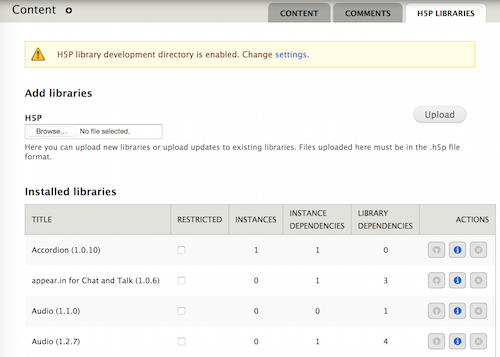 H5P content types and the files to support them are installed into a H5P Library manager provided by the H5P module. 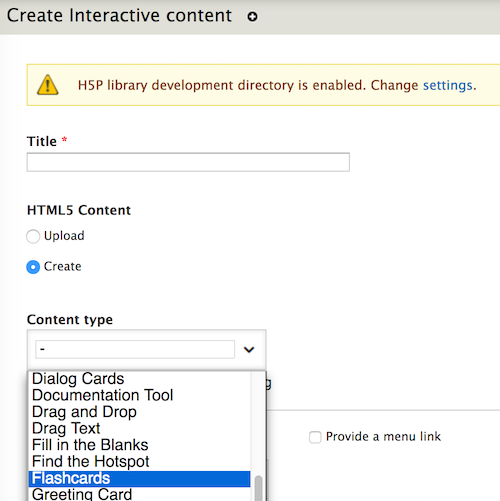 An H5P archive file of the content types and other support libraries is downloaded from the H5P site and uploaded into the Drupal H5P library. The Drupal integration contains a H5P node type named, “Interactive content”. When a H5P node is created there is a selector for the H5P content type. For example, quiz, presentation, or dialog card. When a H5P content type is selected the editor for the content type is loaded interactively. The author then creates the desired content. Once saved the content is presented when the node is viewed. The H5P project provides a Drupal development environment (including a developer mode), online documentation, and a forum. Coding the editor component that creates and edits the content type typically requires as much work as coding the display for the content type. Custom editor widgets can be written. Existing H5P editor widgets can also be used though they are not documented. H5P is continuously changing and improving. These pros and cons are a snapshot of my experience as of May 2017.